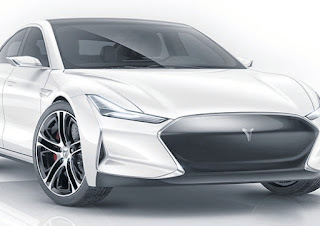 Where are the EV variants of ICE MODELS? Though companies like BMW, Nissan and Renault are selling their battery electric vehicles in reasonable quantities, where are the fully electric versions of their ICE models? 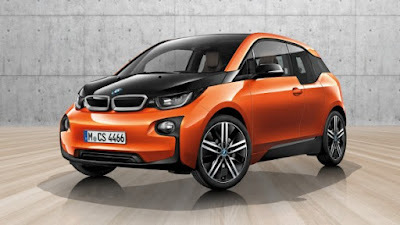 Where is a battery version of a BMW 3 series or 7 series. Cars that could take on the Tesla 3 & S directly. Motorists in the market for a new vehicle need an electric option whatever vehicle they're after. In the last few days the Netherlands has committed itself to banning the sale of fossil fuelled cars by 2025 and banning there use by 2030. This I think is a far more realistic timeline than other countries saying they're going to outlaw diesel and petrol vehicles by 2040 or later. The date of 2025 is going to force vehicle manufacturers into action. If they want to sell vehicles in the Netherlands then they will need to offer electric vehicles for sale. Even now people will be wanting to buy electric cars because they know come 2025 an ICE vehicle will have no resale value. This is also something we can all look forward to seeing happen within a decade, we won't have to wait dozens of years to see a fully electrified nation. Insightful article from News24. South Africa makes up only 0.68% of the global car market and because of this, whatever direction the global car market goes, we will have to follow. China accounts for about 40% of the world's new car market and California sells roughly half the total number of light vehicle sold in the entire US. Representatives from California recently met with their Chinese counterparts to discuss how they can cooperate in accelerating the deployment of zero-emission cars, trucks and buses. elegant electric cars being built in China. With these two markets being so large and important to the world's car manufacturers it goes without saying that manufacturers will build suitable vehicles that comply with the regulatory demands of these regions. In other words California and China are going to force the auto industry to go electric and the rest of the world will be obliged to follow suit. The South African car manufacturing industry and government should be paying close attention to this and take it upon themselves to roll-out adequate charging infrastructure before the inevitable mass arrival on our roads of electric vehicles. Obviously it's not going to happen overnight but at least they can start putting charging points along major routes and incentivising places such as shopping mall's restaurants and hotels to put in destination chargers so electric vehicle owners can charge up their cars while visiting such establishments. BusinessTech looks at the cost factors associated with buying and owning an electric or hybrid car in South Africa. Read the full article here.